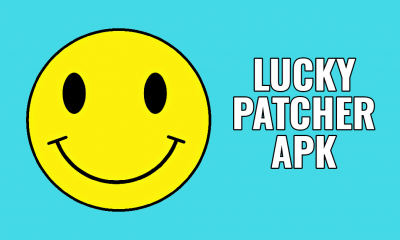 Need some Best offline FPS/TPS Android games ever? 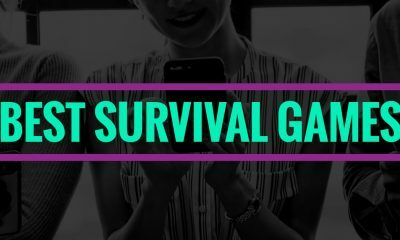 Tired of playing those old and boring games….? 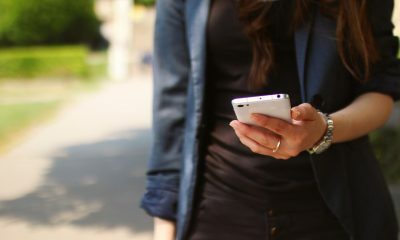 Android is really an awesome operating system, Which comes with millions of apps and Games available on Google Play store and all over the Internet. On those days, Generally, Android games used to be very small in size around 10-40 MB. 40 MB games are used to be the most graphic intense games. As of Now, Each and everything is changed. On the other hand, Android has been releasing many new versions which got too many features. 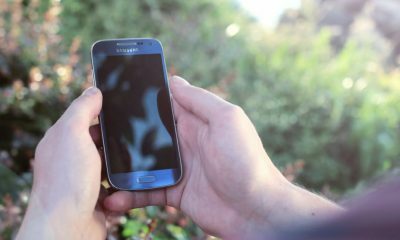 As to follow that Mobiles are also coming with ultimate features like 4GB RAM, 256 GB internal storage etc. Hence, the graphics of the games was improved consequently, Size was increased a lot. I have seen a game for Android mobiles, which has a size about 2.3 GB. Yes, You heard it right. Mortal Kombat X, in the play store, Has a size of 2.3 Gb. However, This isn’t about the size of the games. This is about the Best offline FPS/TPS Android games ever. To jump into the article, First of all, We have to know, What is an FPS/TPS game. FPS, If expanded refers to, First Person Shooter, Which means, you will be the shooter in the game, and the character you are playing won’t be visible to you. An example of FPS game is a Dead Trigger. TPS game, If expanded, Gives a meaning, Third person shooter, which means, you will be the shooter, But the camera would act like a third person. In these games, you are visible to you. The character with whom you are playing, Is visible to you from the back side. 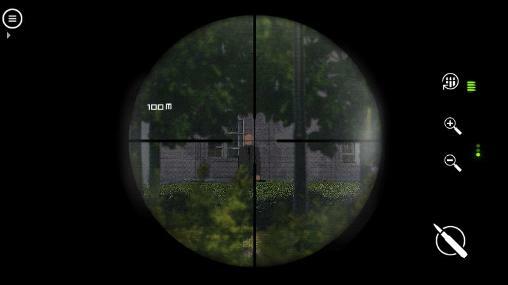 An example of TPS game is Cover fire. However, you need at least 2GB ram with a powerful CPU and GPU to play this game smoothly. The size of this game is extraordinary. 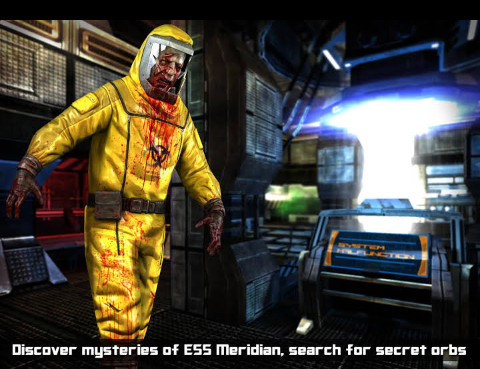 I think, Now you know, Why we have given it the 1st position in this list of ” best offline FPS/TPS Android games ever “. Highlights: Each and everything is a highlight of this game. All the people in this world are infected with an unknown disease and They are all turned out into Zombies. You are one of the Guys, Who are still alive. However, in this situation, You can’t live anymore. The zombies are gonna kill you very badly. This game is an FPS game, which includes many missions like Defend yourself for x seconds, Kill some Zombies and Find some medical boxes etc. You have to complete missions and earn Money and Gold which can be further used to Buy and upgrade Weapons and Items in the store. In addition to the great gameplay, This game needs no internet connection to be played. But, it needs an internet connection or In-app purchases, For earning free gold which is just optional for a player. 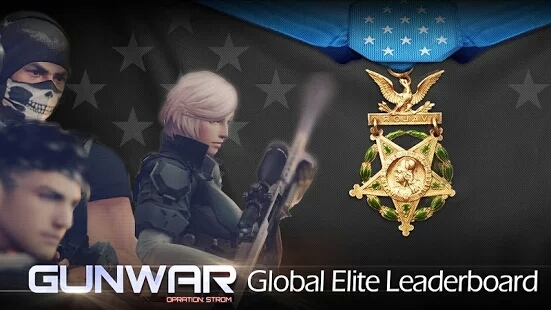 Anyway, It’s really one of the great FPS games available on the play store. It has the capability to get into this list of ” Best offline FPS/TPS Android games ever “. Highlights include Amazing graphics, Real killing feel, Hard missions etc.. The game contains Animated clips which reveal the story of the game and the story decides your upcoming mission. 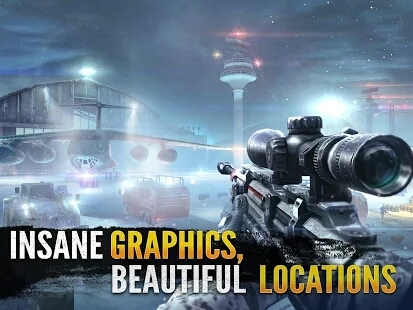 It is really popular for its sound effects which even include the breathing of the shooter, The sound which comes while zooming into the person, the vibration that comes while killing someone with a headshot are really awesome. The game contains 5 Episodes and every episode includes 6 missions. This one is not for kids. It is a game that was rated for 17+. But don’t worry, it was rated 17+, because of the language used in the animated clips and terrible violence in killing enemies. I regularly play LoneWolf on my mobile. 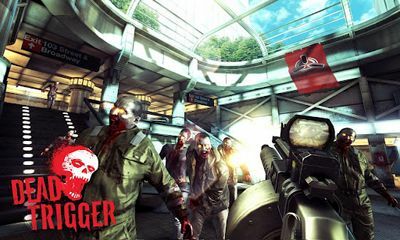 This game is really a strong competitor for the Dead trigger and It can be considered one of the best offline FPS/TPS Android games ever. Highlights include Sound effects, Story, Gameplay etc..
Cover Fire is one of the best offline FPS/TPS games ever. Actually, it is a TPS game which has been rated 4.7 on the Google Play Store. Since, It is a Graphic intense game, This game is not at all small in terms of size and It requires at least 1 GB of ram and A good processor for a smooth gaming experience. The Game includes easy, Middle and Hardest missions too. And the main thing for its popularity is The graphics. The sound and visual effects are awesome. The gameplay is really good. 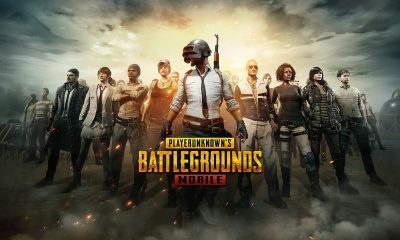 It is a highly recommended TPS game for those people who got good phones with 2 GB ram and Good processor and A good GPU. 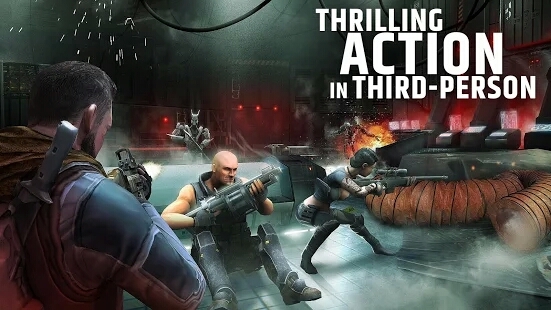 Here come another low sized, and one of the best offline FPS/TPS games available on Google play store. This one is also a TPS game and it requires no internet connection. 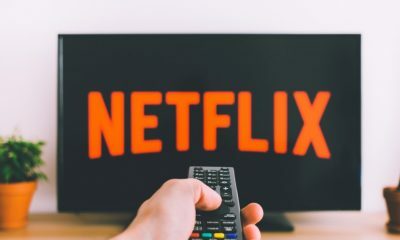 They are also launching a PVP mode which requires an internet connection to play, But, the Internet is not mandatory. It has been rated 4.6 on the Google play store which is really a good response from the players. The game is not a single person shooting game. You will have a squad which helps you in shooting the opponents. You can upgrade the characters of the squads. The weapons are really cool. You can purchase many goods in the arsenal which helps you play easily.Hence, We can say that This game is a good TPS game for Android which can be played smoothly on Small devices too. A Performance intense game from Glu. 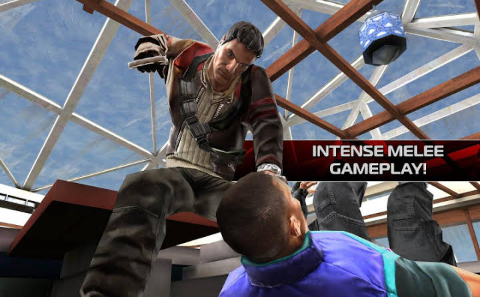 Contract kill 2 is really the best Android game. The highlights of this game include Gameplay, Missions etc. 2. Sniper 3d: To play this game, you don’t need an internet connection. But to play this game completely, you need to have internet access. The missions of this game are amazing. 3. Nova Legacy: Another game From Gameloft which is a compact version of the game Nova ( Near orbit vanguard Alliance ). It is a sci-fi TPS game which got amazing graphics with awesome effects. The size of these games is high. But, The gameplay is awesome. A must check out the game for FPS lovers. 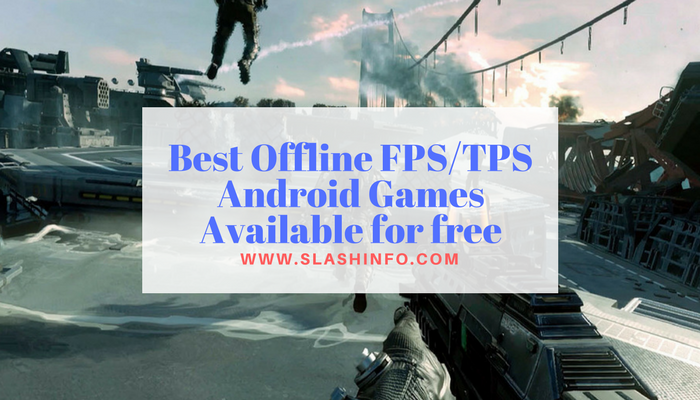 This is the list of Best offline FPS/TPS Android games ever. You can download all these games from Google Play store for free.I know there are many other FPS games are performing awesome in Play store. Unfortunately, we can’t List each and everything out. Keep writing for this one I love it so much.